2. Log into your Amazon Account. 3. 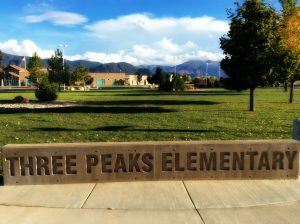 Type PTA Utah Congress Three Peaks Elementary. Please continue to send them in and encourage family members to save them to. It is free money for our school. You can sign-up at BoxTops4Education.com to get special coupons and discounts at online stores. Walmart is collecting box tops for the schools in our area. Please encourage family members to either turn them in to you or drop them off in the Three Peaks Elementary bin located in front of the jewelry counter at Walmart. You can also put them in a baggie. Don’t forget to put the student’s and teacher’s name on them so you can earn a PARTY!